Stretching from Beachy Head through to Harting Down, the South Downs offers some of the most stunning landscapes in England. Explore a gorgeous weekend on the south coast with us. 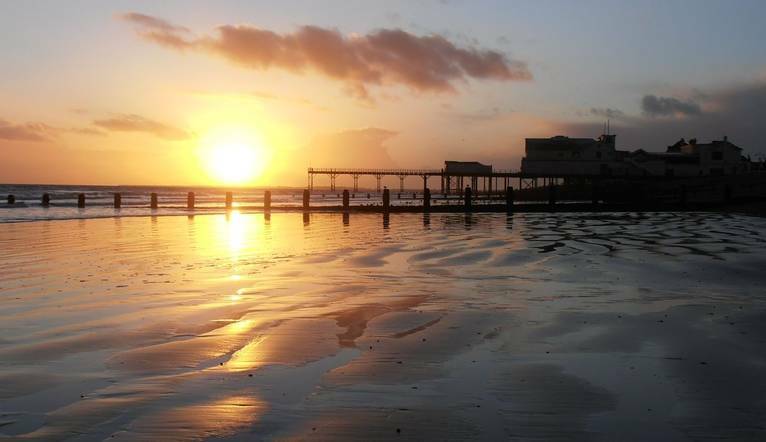 From a small fishing village to popular bustling coastal town, Bognor Regis is as much historical as it is a traditional break by the seaside. Meet up with your fellow Solos guests on Friday evening for a welcome drink, dinner and an entertaining quiz. Saturday takes us into the beautiful characterful city of Chichester. Nestling just at the foot of the downs, the city is surrounded by countryside, sandy beaches, classic fishing villages and plenty of history. Our easy guided walking tour takes us through time as we head from the Roman Baths through medieval streets to Market Cross and the Cathedral which has stood in the city for over 900 years. There are also a host of museums, art galleries and historic houses to explore. The Seven Sisters are a famous series of chalk cliffs by the English Channel. They form part of the South Downs in East Sussex, between the towns of Seaford and Eastbourne. Before heading home on Sunday, the day is ours to relax and explore Bognor Regis or perhaps head into the town of Arundel for a wander around the shops or art galleries. The hotel is located off the A29 towards Felpham. Bognor Regis station is about 5 minutes drive away. Complimentary car parking is available. With its fantastic location right on the beach just a mile from Bognor Regis, our friendly hotel offers a cosy bar, restaurant, seaside garden and indoor swimming pool. The comfortable rooms all offer TV, radio, telephone, tea/coffee-making facilities, hairdryer and complimentary Wi-Fi. The hotel is located off the A29 towards Felpham. Bognor Regis station is about 5 minutes drive. Complimentary car parking is available. We spend the day in the characterful city of Chichester with an easy guided walking tour and time to explore the museums and art galleries.